Our club meetings have a casual atmosphere where education and fellowship are our main priority. You are invited to attend one of our regular meetings as a guest! 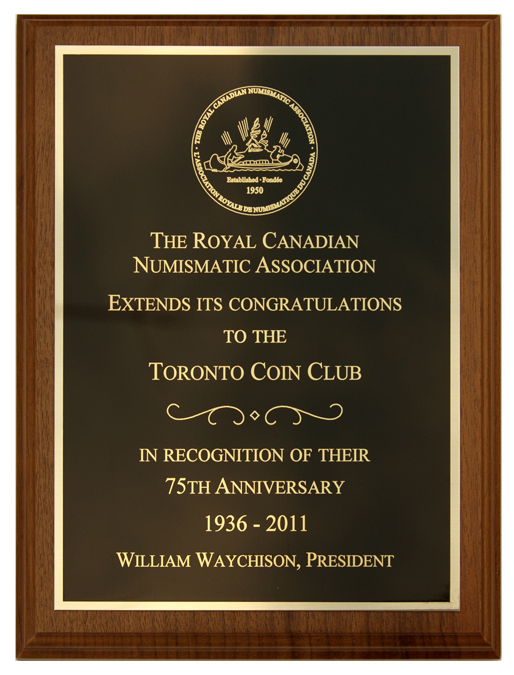 doors open at 7:00 P.M., promptly starting at 7:30 P.M.
Hello Members and Friends of the Toronto Coin Club! The next meeting of the Toronto Coin Club will be on the second Monday, May 13, at the TORONTO CITY HALL, 100 Queen St W, Toronto, ON M5H 2N2; located on the NW corner of Queen St and Bay St., just opposite the Sheraton Centre. We are meeting in a conference room on the second level, with stairs to the right (or left) as you walk through the foyer. There is an elevator available as well. Please plan to arrive around 7:00 pm for our regular meeting coming to order at 7:30 pm. We must vacate the building by 9:30. There are subway stations (OSGOODE STATION / QUEEN STATION) on the University/Yonge line (1), just a short walk of the City Hall. Parking after 6:00 pm is $6.00 under Nathan Philips Square. Our Discussion/Question of the month is: To be determied. December 11 - Annual Holiday Meeting Tucker's Marketplace, 15 Carlson Ct, Etobicoke. The Toronto Coin Club, Canada’s oldest continuing coin club, has issued a commemorative medal to celebrate Canada's sequicentennial anniversary of Confederation. 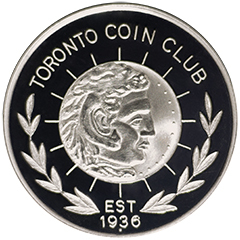 To celebrate this major milestone in the club’s history the traditional Toronto Coin Club logo design has been chosen for the obverse. This design was originally adapted from the badge of office that the founding president G. N. (Bob) Robillard had fashioned from a favourite tetradrachm, issued by Alexander the Great of Macedonia, in his collection. The central element of the medal design is a rendition of the obverse of the tetradrachm featuring Alexander as the allegorical figure of a young Herakles (Hercules) wearing a lion skin headdress, the lion’s paws tied at his neck. Encircling the tetradrachm are sun-rays. Supporting this inner design are two laurel boughs with the legend: TORONTO COIN CLUB at the top and EST 1936 / • at the bottom, completing the design features. 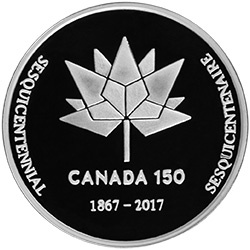 The reverse design consists of the Official CANADA 150 logo; with the legend: SESQUICENTENNIAL / SESQUICENTENAIRE / 1867-2017. 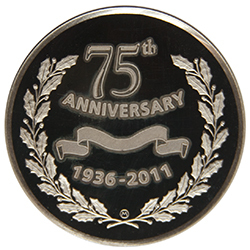 It is a nostalgic reminder of the club’s earlier years as a leader in the numismatic hobby and it’s issue of a medal for the 1967 Centennial celebrations. Master engraver Larry Colburn of the Mississauga Mint was commissioned by the Royal Canadian Numismatic Association to execute the CANADA 150 die. The medal has been limited to a very small mintage; and is certainly a scarce collector item. 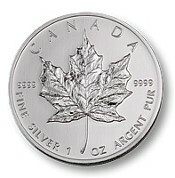 The 38 mm medal has been struck in two metals; Silver (1 oz. troy; .999 fine), and Copper. 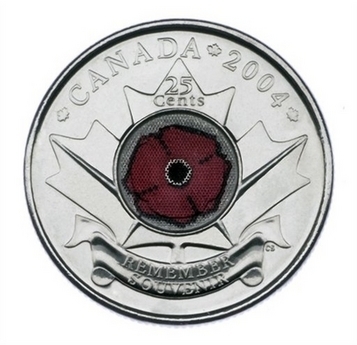 Numismatic web site hosting for nonprofit numismatic organizations provided by Nunet Canada.